The wiseacre who created that location gave me a nice laugh that morning. But there is a kernel of truth in the joke. One reason why the Shore is a place like no other is that it remained relatively isolated from the rest of the world for such a long time. Yes, there was always the busy maritime trade, and the railroads and steamboats arrived eventually as well. But otherwise, the Shore was accessible only to the most intrepid travelers until well into the 20th century. This was especially true of the most remote outposts. Consider the case of Hooper’s Island, one of two Dorchester County islands way out here in “The Middle of #&!@*! Nowhere.” Island native Jacqueline Simmons Hedberg put together the book, “Hoopers Island,” for the “Images of America” series. She points out in the introduction that the array of surnames that appeared in the 1930 census of Hooper’s Island were basically the same as the ones that had appeared in 1800. After wading through a few more facts and figures, she concludes: Just “ten families, with all their branches, were almost the entire population of Hoopers Island for 300 years,” Hedberg writes. Keep that in mind as you head out of Cambridge on Route 16, bound for the vast stretch of marshland that locals often refer to as “Down Below.” This is one of the few places left on the Shore where you can still get a feel for all those isolated centuries, piled up one after another. The same is true on nearby Taylor’s Island, which we will visit first. To get there, stay on Route 16 as you pass through Church Creek. Keep an eye out for Harrisville Road on the left. Some historians believe that Underground Railroad heroine Harriet Tubman was born in a cabin that used to stand near the spot where this road comes to a dead end. The drive down to that dead end is a beautiful, serene affair, if you’re so inclined. 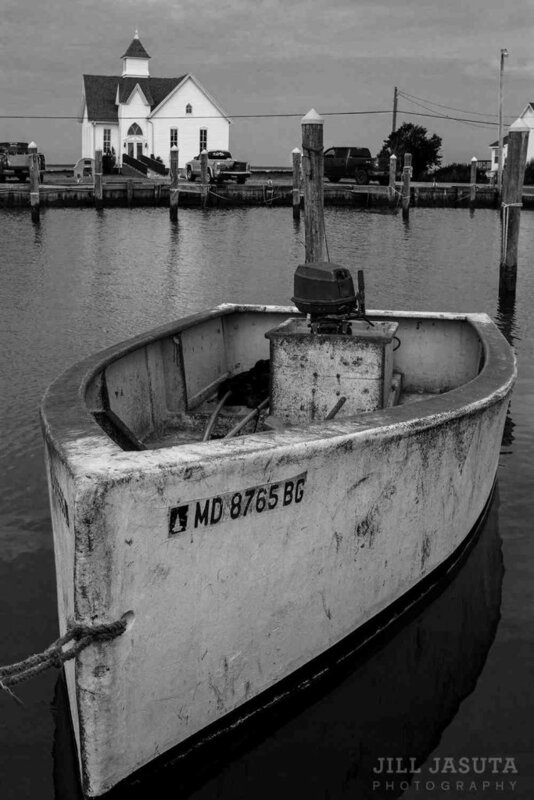 Back on Route 16, you’ll pass by the old-school Woolford Country Store and then come up on the little burg of Madison, with its postcard-pretty Caper’s Wharf, where many local watermen keep their traditional workboats. Visiting places like the islands of Dorchester is a different daytripping experience than some folks are used to. There are no museums. There are no tours. There are no plans to make, tickets to buy, or directions to follow. What you do on Taylor’s Island is wander around a bit and see what catches your fancy. One day it might be wildlife–hawks, herons, eagles, and sika deer are here in abundance. On another, the if-walls-could-talk beauty of abandoned old houses might be center stage. Two island churches are on the National Register of Historic Places. Grace Episcopal is a sweet piece of Victorian Gothic architecture. The small Chapel of Ease on its grounds dates back to the early 1700s. There’s a graveyard here, too, and I always find something of interest in old country graveyards. 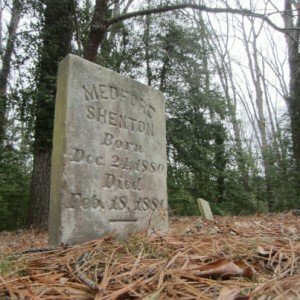 Last time I visited, the stone for Medford Shenton caught my eye—I had to do a double take at the dates, because Medford lived for just a couple of months back in the late 19th century, and yet he has one of the biggest gravestones in sight. 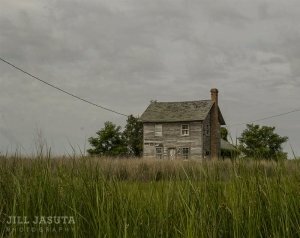 Scenes like that can spark your imagination and leave you picturing some of the challenges and heartbreaks of life in that isolated Eastern Shore of times gone by. The nearby Bethlehem Methodist Episcopal is a Gothic Revival affair. Built in 1857, it’s blessed with a photogenic belfry up top. Some of the graves in the cemetery across the road date to the 1700s. There are a couple of decent places here where you can break bread with the locals. The mom-and-poppish Island Grille is part country store and part country diner. I haven’t eaten there lately, but I hear good things about the soft shell crabs and the sweet potato fries. If you’re heading out fishing or paddling, these are the folks to talk to about getting box lunches to go. 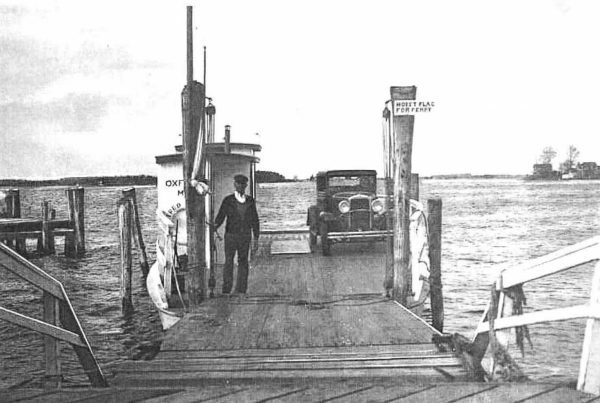 Palm Beach Willie’s stands on a floating barge on the mainland side of Slaughter Creek–the barge used to house a Coast Guard station. Now it serves up sweet water views and fun tiki-bar decor to go along with libations and old-school seafood dishes. Next up is Hooper’s Island—but first, a brief detour into the realm of geology. Back in the distant mists of times gone by, the islands we call Taylor’s and Hooper’s (along with another one, James) were all connected into one big land mass. Their breakup over the years is the result of natural phenomena going back many centuries—the water is slowly rising here, the land is slowly sinking, and forces of erosion just keep on keeping on. The way to Hooper’s Island will take you along Smithville Road, another sweet stretch of Down Below driving. For most of its length, the road is sandwiched between Blackwater National Wildlife Refuge and the Taylor’s Island Wildlife Management Area. You’ll catch glimpses along the way of waterways with exotic names like Hog Marsh Gut and Scallop Point Gut. Keep an eye out for the pretty New Revived Methodist Church, still known among locals by its original name of Jefferson Methodist Episcopal. There used to be several black churches hereabouts serving a sizable African-American population, but Jefferson is the only one left. As the timbering and seafood industries shrank in these parts over the decades, many families moved to Cambridge or other towns where work might be more readily available. Hooper’s Island takes its name from Henry Hooper, who moved his family here in 1699. Hooper’s is actually a string of three islands, with only two being inhabited today as the third has nearly disappeared. 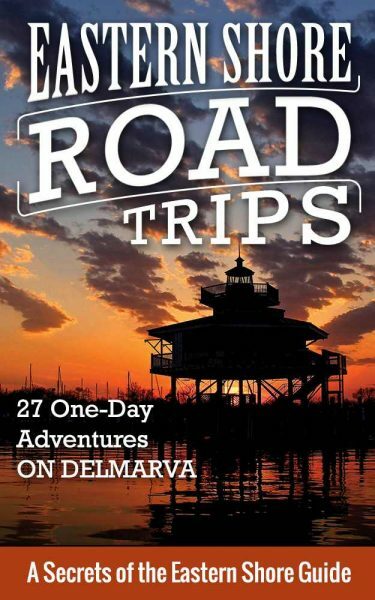 There is a whole lot of sweet scenery as you make your way along Hoopers Island Road, especially in those moments when you can ogle both the open Chesapeake Bay on the west and the broad Honga River on the east. This island, too, is thick with raptors, herons, egrets, and other birds. Even today, most of the families living here are still connected to the water in one way or another, with members working as crabbers, oyster tongers, on charter boats, or in one of the island’s seafood packing houses. Fishing Creek is the first village that you’ll come to, and it presents a postcard-pretty scene, with gorgeous Back Creek full of bobbing workboats and charter vessels. The scenery gets even more gorgeous as you move from Upper Hooper’s to Middle Hooper’s and into the town of Hoopersville. Look out into the Bay on a clear day and you might catch a glimpse of the 63-foot-tall Hooper Island Lighthouse, which dates back to 1902. Keepers lived out there all the way up until 1961. Not everything you see on Hooper’s Island is about looking back in time. Head down to the bottom of House Point Road on Upper Hooper’s and you’ll find yourself at the Hoopers Island Oyster Aquaculture Company. Here, former waterman Johnny Shockley and his partner Ricky Fitzhugh are pioneering the development of new technologies and new approaches to the farming of oysters. Shockley and Fitzhugh are not alone. More than a dozen other oyster aquaculture businesses have opened in Dorchester County in recent years. 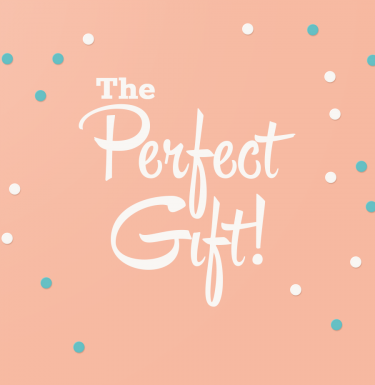 Try and time your visit so that it ends with a chance to enjoy lunch or dinner at Old Salty’s Restaurant. Housed in an old school building, it’s something of an institution when it comes to seafood and other Eastern Shore comfort foods. 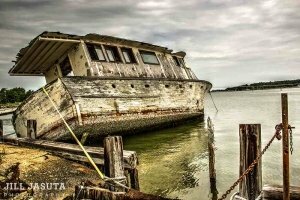 • So that you know what’s nearby, here is the website for Dorchester County Tourism. • Just outside of Cambridge on your way to the islands is Emily’s Produce, a first-rate farm stand run by a family that has been farming lands in this area for five generations. • If you are looking to rent kayaks and bicycles, the people to call are at Blackwater Paddle and Pedal. • You will pass by Blackwater National Wildlife Refuge on your way to the islands. I have a separate daytrip devoted to that. 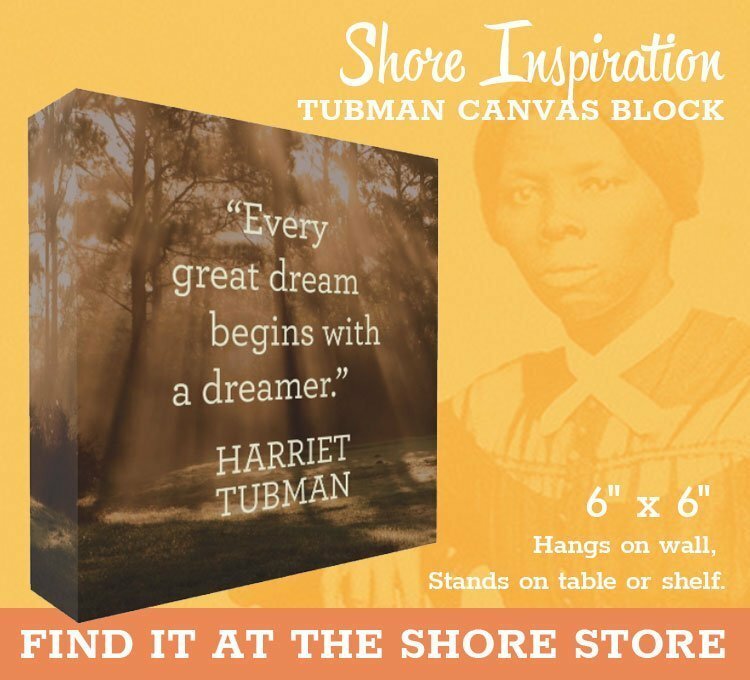 There is also a separate daytrip devoted to the Harriet Tubman Underground Railroad Byway. • Here is a listing of places in Dorchester County where you can arrange charter fishing and guided hunting trips. 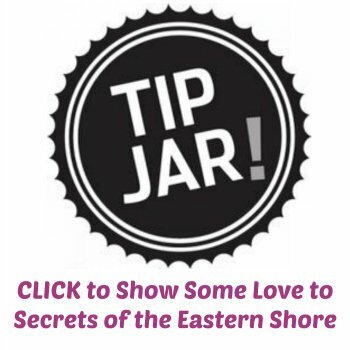 • You can find information about touring the Hooper’s Island Aquaculture facility here. • All the photos here are by Jill Jasuta Photography, except the one of Medford Shenton’s grave–that’s by Jim Duffy. 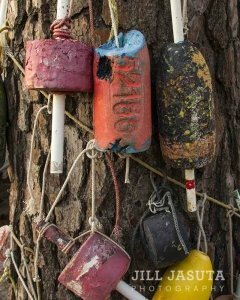 The shots of buoys on a tree in Taylor’s Island is available as a greeting card at the Shore Store. 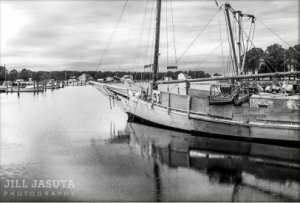 The one of the skipjack in Madison Bay is available as a photo print. Rippons Harbor is in Hoopersville, on the Middle Hoopers Island, not in Fishing Creek (which is on the Upper Hoopers Island). It’s around the corner from my house. There is for sure a lot more history. We are all family here. I’ve lived here since i was a young kid i grew up here an you don’t know what Hooper’s Island is like once you have lived here. I my self have lived on house point Rd. for the last 15 years my family that still remains an the ones that go way back go to the late 1800’s. It is an amazing place to call home, there is no other place i rather be. An a fact you could add when the old wooden bridge from hooper’s ville to hoopers island was their the African Americans stayed on the hooper’s ville side an very rarely did they come over the bridge to hooper’s island side. They had there own store on there side of the island an hooper’s island side had their own. Cambridge did exist but in the late 1800’s there wasn’t such thing of saying ” we are going up town (cambridge) to do our shopping. Slavery was still happening in this time period. Tubman have a huge part down in the eastern shore. Her original home was still standing up until a few years ago not very long ago they torn it down an replaced it with a tubman museum that is very popular now. Its a interesting place to visit. Hooper’s island an hooper’s ville as well as taylors island , toddville, church creel, cambridge have tons of history. I loved the information you shared i just wanted to give you some more facts from some people that have been here for years mostly there entire life.